Aaron loves wheatgrass juice. With all the juicing I have been doing, it only seemed right that I try my hand at wheatgrass juice so he can have some at home. It's not hard to grow. My crop of wheatgrass grew really well right on the kitchen counter. Aaron ordered us a Wheat Grass Juicer . I love how old school it is. I had my doubts as to how well it would work but boy, it did the job. It squeezed every last ever-lovin bit of bright green juice out of that grass. Tart and tasty! And so good for you! Us kitties like to nom nom nom on the wheatgrass. Maybe Stewie would too. I gave Stewie wheatgrass awhile ago and he wasn't interested. Maybe I'll try again with the homegrown stuff! Wow, amazing! I like it! 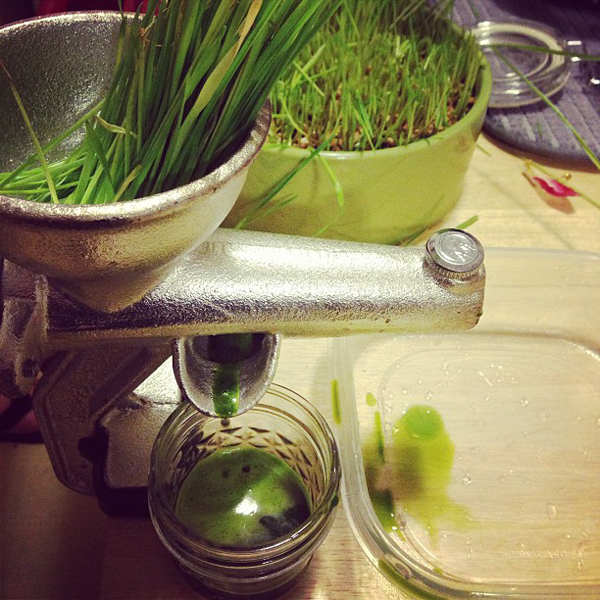 May I use my regular juicer for wheat grass? 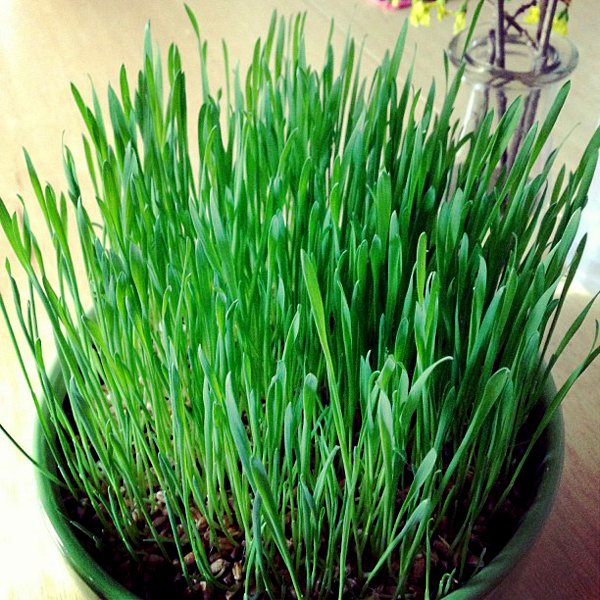 It seems there is no much juice in wheat grass? Am I right? But for all vitamins in it it's still worth juicing it. Dave - I have put wheatgrass through our regular juicer and it works fine. This just seems to get more juice out of the wheatgrass.